Buying or Selling Domain Names? Domain names are digital assets that offer global opportunities. A domain name is the foundation of an Internet business. Domain names are also unique alternative investments for individuals looking to diversify their holdings. 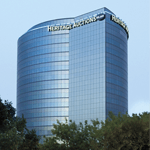 Heritage Auctions has sold several million dollars in domain name assets through our live auctions as well as private brokerage. What are my Domain Names & Intellectual Property Worth?